The only good thing you can say about the model outlook is that it's likely to change as normal, at least beyond next 6-7 days. Looking thru ECM ensembles it's a stalemate with low pressure west of UK, and highs thru europe and scandinavia, all the way out to +360. Most resorts do not open until mid-Dec so plenty of time yet. There will be high skiing in those results that open early. Because we enjoy it. Simples. Good to see all the usual suspects on here again this year. My last climbing trip of the year to North Wales was cancelled due to snow - gotta be a good sign shirley? Colorado got 1-2ft of freshy so far this week. Wolf Creek, A-Basin, and Loveland. Another 10-15 opening in the next 2-3 weeks, like Keystone, Breckenridge, etc. Three American resorts are open but apparently each have less than 2kms of skiing. Those folks in A-Basin and Loveland must be wondering what to do after the first 5 minutes of skiing. Most boring day's skiing ever recorded ? Most repeats of as single run in a day ? @dsoutar, and yet people in the UK travel a couple of hours to ski in a fridge which has even shorter runs. GFS appears to be predicting another cold snap with lots of snow in 5-7 days at Sierra Nevada. 1000 miles further south than the Alps and it looks like it might be one of those years where it has a better pre/early season! Ah so Whitegold has some allegiance to Whistler etc across the pond hence his derogatory Alps bashing and continued sales pitch for skiing in Retardistan. Looking very wet again across N Italy after the torrential rain earlier in the week that saw the worst flooding in a decade in Venice. Bringing snow to higher elevations, over 2500m in the Dolomites. GFS still suggesting plenty of snowfall at altitude on the Swiss Italian border. Haut Valais and Ticino has been absolutely plastered!!! this slightly negative AO/ NAO period is matching the jet theory....although all areas have seen some snow, you've really got to get south of the ridge....am looking at Cervinia, only 2.5 hrs drive from Geneva. Great snow on Hintertux today. One or two very icy patches but these are few and far between. Quite windy and lots of people (thanks to Feier and Fenstertag), but good to be back on skis. Also a lot more snow on the way for the Swiss Italian border too. GFS‘s earlier forecast for snow next week holding up. So that’s Cervinia/Zermatt? And Monta Rosa area? Along the Main Alpine Ridge and southwards therefrom, skies will be heavily overcast and precipitation is anticipated. North of the Main Alpine Ridge it will be rather sunny, however cloud cover is expected near to the Main Alpine Ridge itself. The zero-degree level at midday in northern regions will be approximately 3000 m, in southern regions approximately 2500 m.
foehn wind is expected to arise in the Alpine valleys. Along the Main Alpine Ridge and southwards therefrom, skies are expected to be heavily overcast. Between the Monte Rosa region and western Ticino, heavy precipitation is anticipated, in the other regions only very little. In the northern regions it will be partly sunny. In the Alps a strong to storm-strength southerly wind will be blowing, and foehn wind in the Alpine valleys. The avalanche danger is expected to continue to increase at high altitudes in the major areas of precipitation. On Tuesday, danger level 4 (high) may well be reached during the course of the day from region to region, in the Upper Valais sector of the Main Alpine Ridge more than anywhere else. In the other regions of Switzerland, danger levels are not expected to change significantly. Looks like the Italian resorts around Alagna (south of Zermatt) got 150-250cm of snowfall in the dump last week. Northern Portugal also got a good puke. Tiny Serra da Estrela, at 1800-2000m, is open (very) early. @Whitegold, Honestly, that looks the most boring ski destination ever! The latter would drop the FL from about 3000 to 1500, with much more widespread precipitation. 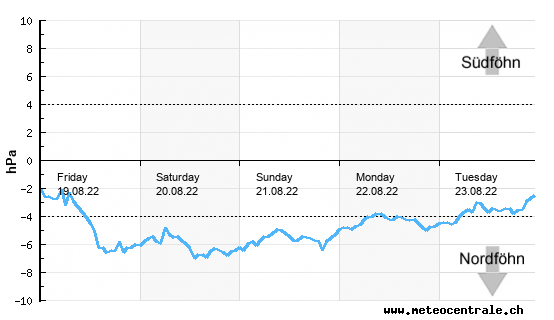 The AO index also pointing at the huge uncertainty though. I'd rather be skiing than hiking? @robboj, Not on that I wouldn't, looks boring skiing. I agree, but for me any skiings better than none. It was actually fake news from Whitegold, the resort is closed. It opened Thursday only last week. With rising temperatures forecast, it's unlikely to re-open in the very near future. This is an interesting website for looking at actual lying snow in the last few years. Most go the cameras go back at least 2-3 years and some as much as 6. Admittedly it is mainly the Eastern end of the Alps and some of them are urban but looking at some of the 5th of November shots from previous winters that turned out just fine certainly reassures. Yes, the 6th of November looked a lot different last year but that melted from everywhere but the tops and it was mid month before it was back and pretty much the beginning of December before it was permanent on all slopes. I'll take that right now? Yes I see that but being in the Arlberg probably much more likely. Many others hadn't, much of Salzburgerland, the Bayerische Voralpenland, even around the Inntal for example. 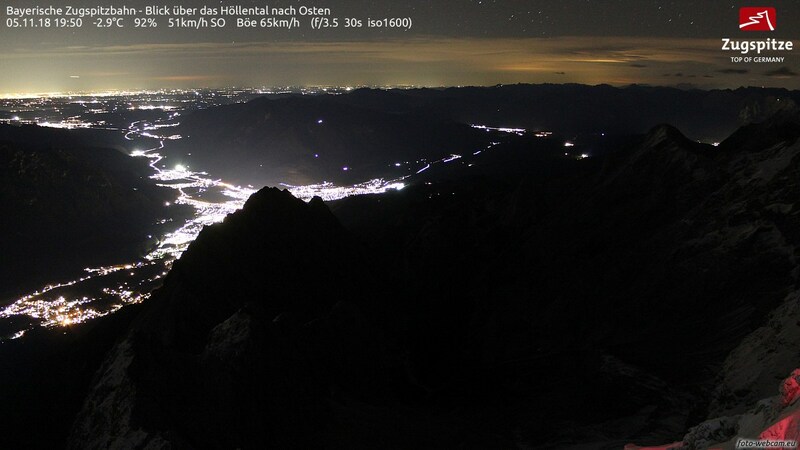 Cool webcam from the top of Germany's highest mountain at nearly 10k feet. This is from Matt Hugo on Twitter focussing on UK, but has broader relevance. @Whitegold, Thats a new one, its a real cracker. I'm presuming thats München in the distance. There is also this new one of Samerberg where our dear late friend Sue lived. Thats a big call from, I think, a fairly big name? Sold! Plenty of fairly wild temperatures around mid November. Parts of Canada 16C above average, parts of US 16C below average. Hmm, my recollection from around here was solid skitour-able cover on pretty much all local resorts (Lizum, Kühtai and Seefeld particularly) from late October onwards last year. But last season was spectacular, up until end of January or so, at which point (in Tirol at least) it fizzled out towards being fairly average. Lack of snow now means absolutely nothing for actual ski season - in fact there are some correlations with more snow in Jan and Feb which to most people matter more - but it doesn't look like there's going to be much pre-season touring this season unfortunately. It's freakishly warm here right now and the wiggly lines look like this is going to continue for a couple of weeks. T-shirt weather, no point buying a lift pass just yet.